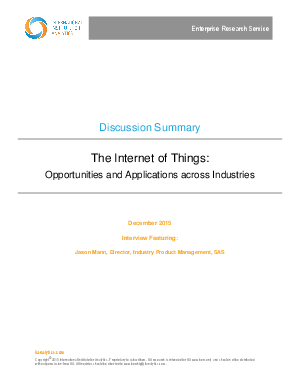 The Internet of Things is much talked about and fast becoming a fixture in some industries. And the technologies for transformative business applications are at hand. Yet many companies are slow to recognize and act on the opportunities. To explore those business opportunities, the associated implementation challenges, and how companies can accelerate their progress, IIA spoke with Jason Mann, Director of Industry Product Management at SAS.